According to a report from Bloomberg on Tuesday citing its own sources, the government has requested information from Apple regarding the matter. Allegedly, the inquiry is in the early stages, and it is far too soon to assume that a formal investigation will start, or if any enforcement is likely. AppleInsider was unable to confirm the information request, and at present there is no publicly available paper trail suggesting that an investigation is underway. In December, a Reddit user detailed what appeared to be evidence of CPU throttling on iPhones with chemically depleted batteries, claims that were later backed up by Geekbench's John Poole. Aggregating multiple iPhone benchmark tests, Poole found a correlation in iPhone slowdowns, battery wear and iOS version, with a noted change in performance apparent between iOS 10.2 and iOS 10.2.1. Apple released iOS 10.2.1 in 2016 to deal with unexpected shutdowns afflicting iPhone 6, iPhone 6s and iPhone SE models, and noted in release notes that it had done so. However, the company failed to specifically disclose at the time how the firmware fixed the apparent problem. In a statement from December, Apple said the software update's feature helps "smooth out the instantaneous peaks only when needed to prevent the device from unexpectedly shutting down during these conditions." The same technology has been carried forward with iOS 11.2 to cover the iPhone 7, and Apple says the feature will be carried forward in future products. Apple's forthcoming iOS 11.3 will have the ability to disable the battery throttling, at the cost of phone stability —potentially leading to an under-voltage crash. Customers who took offense to Apple's lack of transparency on the matter began to file class-action lawsuits. More than 40 complaints have been filed in the U.S. so far, including a case being handled by Hagens Berman, the consumer rights law firm that successfully obtained a $450 million settlement from Apple over e-book price fixing in 2015. Apple apologized for not communicating the implementation to iPhone owners. 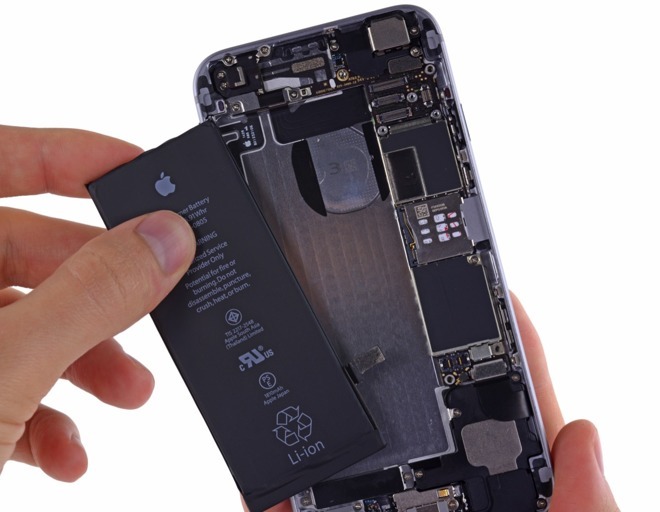 At the same time, the company dropped the cost of out-of-warranty battery replacements from $79 to $29 in a play for positive customer sentiment. Sen. John Thune (R - S. Dak. ), chairman of the Senate Commerce Committee, asked Apple a series of questions to suss out the company's policies on slowing down iPhones with depleted battery cells. Thune asked how Apple is tracking customer complaints related to the processor slowdown issue, and whether the company was looking into rebates for iPhone owners who paid full price for a battery replacement prior to the discount offer. Since the note, AppleInsider learned that the cutoff date for a reduced-price refund goes back to Dec. 1, 2017, but no earlier as a matter of procedure. However, there have been limited reports of successes for a bit earlier in the year. French regulators initiated an investigation into identical issues on Jan. 7. In that case, the DGCCRF anti-fraud agency is following up on a private complaint by Stop Planned Obsolescence. Should the data-gathering turn into an investigation, similar examinations of Silicon Valley companies have taken years to resolve.